Submitted 3 months 2 weeks ago by MarketsandMarkets™. 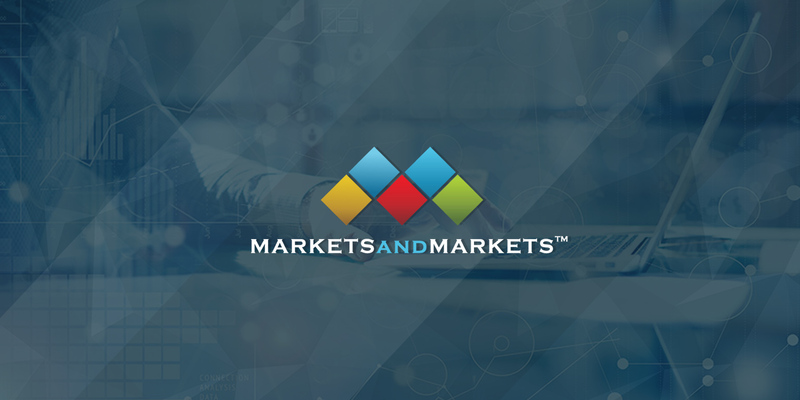 According to the new market research report "Log Management Market by Component (Solution and Services), Deployment Mode (Cloud and On-Premises), Organization Size, Vertical, and Region - Global Forecast to 2022", published by MarketsandMarkets™, the log management market size is expected to grow from USD 707 Million in 2017 to USD 1248.9 Million by 2022, at a Compound Annual Growth Rate (CAGR) of 12.1%. Log management software help enterprises to improve security and regulatory compliance. Every computing device in an organization generates hundreds of gigabytes of logs per day. This huge set of event logs is monitored by the log management platform to identify security breaches and maintain continuous security within organizations. The platform protects networks, endpoints, and devices from various malicious attacks, sophisticated cybercriminals, ransomwares, and Advanced Persistent Threats (APTs). With the implementation of log management platforms, public and private organizations can prevent security threats, cut down business costs, and enhance the information security infrastructure. Therefore, enterprises are deploying advanced log management solutions and services to secure networks and endpoints from cyber threats. Browse and in-depth TOC on "Log Management Market"
The solution segment is expected to have the largest market share and dominate the log management market from 2017 to 2022. The major reason for the high adoption of log management solutions is the increased usage of advanced technologies, and web and cloud applications within organizations. However, these applications might contain malicious activities, which may cause significant data loss. Log management solutions help to minimize the loss of data through regular control and monitoring of computer generated logs and events. The Banking, Financial Services, and Insurance (BFSI) vertical is expected to contribute the largest market share in the log management market. This growth in the BFSI vertical can be attributed to the increasing usage of mobile devices and IoT applications for banking and payments. The government and public utilities vertical is expected grow at the highest CAGR during the forecast period as these organizations are involved with data and information of a critical nature, which makes them an obvious target for cybercriminals. This data might be related to a small project or might be of national importance. Therefore, higher adoptions of log management solutions are being observed in the government and public utilities vertical in the recent times. North America is expected to have the largest market share and dominate the log management market from 2017 to 2022, due to the presence of a large number of log management vendors across this region. APAC, on the other hand, offers potential growth opportunities in the log management market, as there is a wide presence of Small and Medium Enterprises (SMEs) in this region who are turning toward log management services to defend against APTs. The major vendors in the log management market include IBM Corporation (New York, US), Intel Security (California, US), SolarWinds Worldwide, LLC (Texas, US), Splunk Inc. (California, US), LogRhythm, Inc. (Colorado, US), Alert Logic (Texas, US), Loggly, Inc. (California, US), AlienVault (California, US), Veriato, Inc. (California, US), and Blackstratus, Inc. (Palm Beach, US).